Sorrel Canyon Ranch offers amazing variety in a compact 268 ac: horse ranch, hunting & fishing, entertainment venue, pecan orchard, & comfortable living- Hill Country style. Rock home on ridge with wide vistas: 4/4.5,3 stone fireplaces, island kitchen, gameroom, pool w/ hot tub. Full-featured 13-stall barn, pastures. Rosa's Cantina - bar, stage, and dance floor - has hosted as many as 500 people. 5 ponds dot the rough live oak country that attracts deer and wild turkey. One ranch fits all! 928 acres near Lake Conroe and Sam Houston National Forest. Mix of woods and pasture including 50+ acre hay field. Over 60 feet of elevation change, numerous ponds. 9,570 sq.ft. ranch home, three smaller residences, two barns, two shop buildings. Montgomery ISD. This unrestricted acreage with long frontage on three county roads offers an ideal opportunity for a family estate or development. 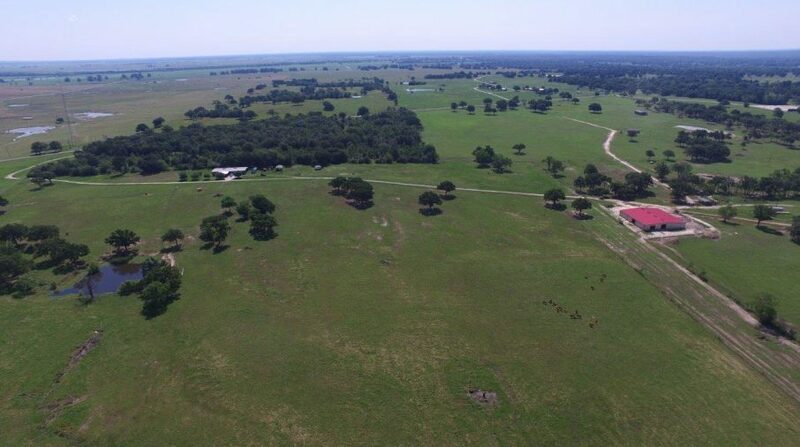 Las Mercedes Ranch is 753 acres of gently rolling land situated in a park like setting offering the best productive cattle and recreational ranch near Huntsville in Madison County. 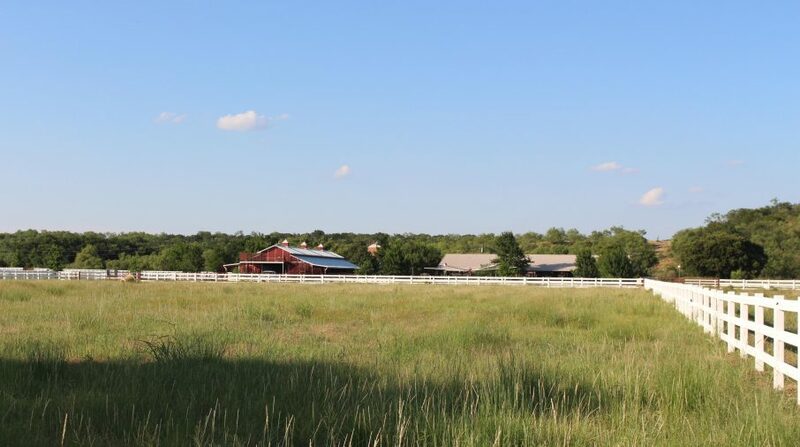 Location: The ranch is located in Madison County approximately 75 minutes north of Bush Airport, 20 miles north of Huntsville, 175 miles from DFW Airport, 160 miles east of Austin. The northern boundary fronts on FM 1428 and the eastern boundary fronts on FM 247. Improvements: One year old 3 bedroom/ two bath manufactured home, 40X100 metal shop building with 3 bedroom/2bath apartment, 100X100 show barn constructed in 2016, 40X75 hay barn, 25X30 square bale barn, panel arena, pipe & cable fence. 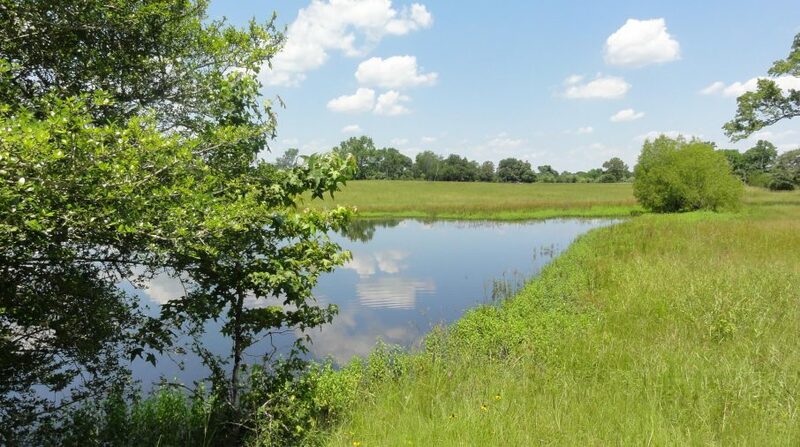 Water: Two water wells furnish water to all the improvements as well as water troughs in select pastures, 6 ponds, seasonal creeks and sloughs, and Larrison Creek. Seller states a water well drilled and used by the mineral lessee will revert to landowner in 2017. 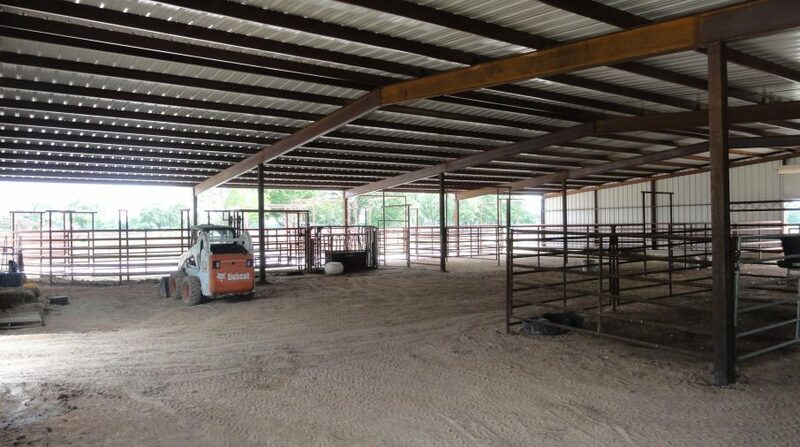 Cattle: The land is currently cross fenced into 12 pastures, cross fencing is good to new condition, show barn is centrally located for easy access from all areas, well water of surface water is present in pastures, show barn includes welded pipe working pens with covered scale and chute. The ranch is currently used as a registered Brahman and commercial cow/calf operation. Cattle are available for sale separately. Minerals: Listing price does not include minerals. Currently there is one producing well site on the property. Seller states a water well drilled and used by the mineral lessee will revert to land owner in 2017. 82 secluded acres graced by a French Country estate home. Built in 2010, 5,150 sq.ft. home offers formal living and dining, island kitchen, huge game room upstairs, and sun room overlooking pool with outdoor kitchen. Rolling pastures with hardwoods, three ponds, fenced and cross-fenced, shop/barn. Gated entry with long rock road to home. A portion of the land is in the 100 year flood plain. Montgomery ISD, light restrictions to maintain value. We invite you to explore our website, or give us a call to explore your next land sale or purchase.